About twenty years ago we found a this calendar bear offer in the newspaper Parade Magazine. 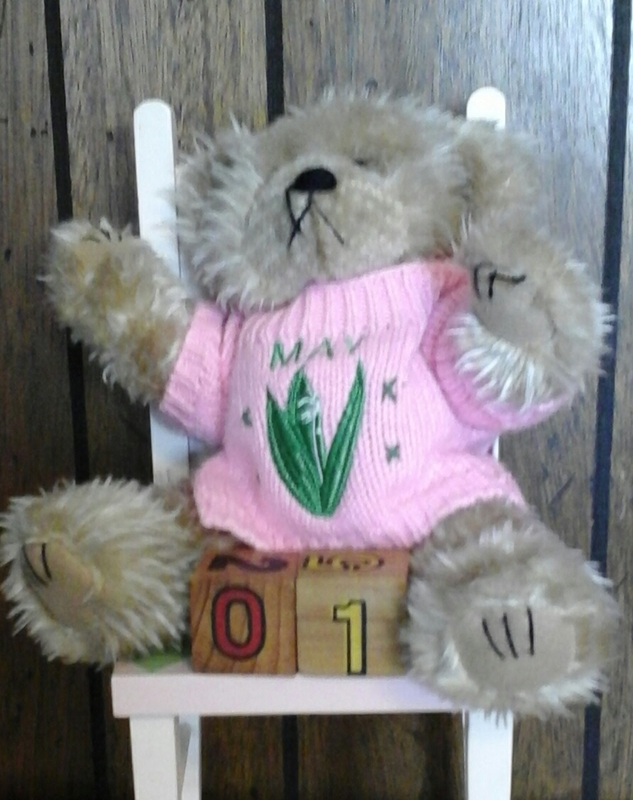 It came with six sweaters, a different month on each side and the two blocks for indicating the date. A decade later we found his chair in a secondhand store.